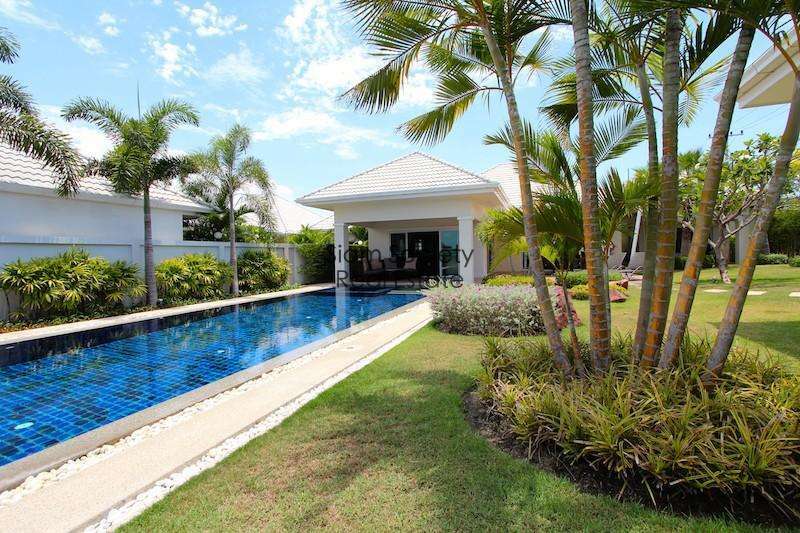 If you’re considering purchasing a home or some land in Thailand for the first time, you’ll probably be asking yourself this very common question, “how do I buy property safely in Thailand?”. As promised, here is the first of hopefully many more blog posts on purchasing property in Thailand. We’re beginning with very general information and answers to commonly asked questions about buying a home here. This is in no way a completely comprehensive answer, but we have to start somewhere. We are providing links to other websites that we have found helpful in our search for reliable information. Enjoy and please let us know if you have any further questions. We will try to expand on each topic in greater detail in subsequent posts, but please feel free to send us a message if you have a particular question, and we’ll do our best to answer. Thanks! Are foreigners allowed to buy property in Thailand? 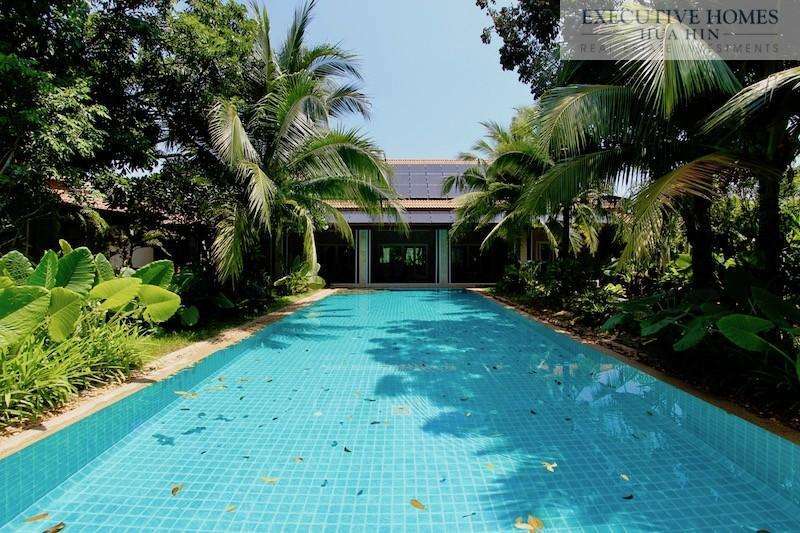 The answer is yes, though there are a few crucial technicalities that all foreigners should be aware of when purchasing homes in Thailand. The biggest detail is that foreigners are allowed to own property in Thailand; they are not allowed to own land in Thailand. In order to work around this technicality of land ownership, most foreigners buying a house choose to enter into a lease agreement with a Thai land owner for up to 3 x 30 year periods. Thai law grants an inalienable 30 year lease to any foreigner purchasing property in the country. This is a protected right, issued by the Thai government, guaranteeing a buyer’s land rights and usage for 30 years. If a buyer enters into a lease agreement with a Thai national for a plot of land, the leasehold contract must be registered at the local land office, and the contract must be written in the Thai language. The contract must be stamped by an official at the land office, and unless the buyer reads Thai fluently, it is a good idea to translate the lease contract into the buyer’s native language, and then certify it as true and accurate by an official translation office . The buyer’s leasehold contract should allow him/her to change the leasehold to freehold at any time if the Thai law changes allowing foreigners to own land in their name (there are rumors that this may happen); or if the buyer decides to register a Thai company and place the land in the company’s name (we’ll discuss this in greater detail below). The leasehold contracts are usually non-rundown leases, allowing the buyer to sell his/her home to a new buyer, who will in turn receive the same original lease for 3 x 30 year periods, restarting at Year 1. The leasehold contract is also inheritable by any family member designated by the buyer. There are a few small steps needed to make this legally binding, but it is a relatively easy procedure (see here for more information on inheritance laws in Thailand). Regarding the leasehold and sale contracts, any capable lawyer can write the contracts and present them to a seller/developer for review and approval. The leasehold contracts are generally straightforward and usually the same for everyone. Legally, the leasehold contract must be written in Thai and can be registered for a maximum of 30 years for foreigners. This 30 year leasehold contract registered at the Land Office is a protected right, issued by the Thai government, guaranteeing a foreign buyer’s rights and usage of the land for 30 years. The additional 2 x 30 years periods are written into a separate and legally enforceable contract made between the Thai land owner and the foreign home buyer (generally written into the sale contract). The only difference is that this additional period of 60 years is not a “guaranteed right” by the Thai government. If there was ever a dispute regarding the additional 2 x 30 years (years 31-90), it would have to be settled in a Thai court, where the sale/build contract will be legally enforceable. Can I set up a Thai company in order to own the land in my name? The answer is yes and no, as this is technically illegal. A few years ago, the government was more willing to accept (or turn a blind eye) to foreigners creating Thai companies for the sole purpose of owning residential land. Recently, however, Thai officials have become less willing to accept this loophole for foreign land ownership. Most official offices throughout Thailand will no longer register land ownership in this manner, and many lawyers will not assist in the formation of a Thai company for foreigners wishing to purchase land. However, the companies already in existence will be allowed to continue in their current status, and these companies can be bought and sold legally. So, while a foreign buyer today is not able to form a new company for the sole purpose of holding land and real estate, it is still possible to purchase property and land that is currently held in an existing company. This can be an attractive option to some buyers who feel this is a more secure route or less complicated than a leasehold agreement. Another added advantage to purchasing property through an existing company is that there are no transfer fees since technically the land and house are not being transferred. The buyer is simply adding his/her name to the company documents, and the seller is removing his/her name from the company. We are not advocating that this method of purchasing property is better or more secure than a leasehold agreement; we are simply explaining the various ways for foreigners to purchase property here in Thailand. While Thailand is generally a safe place to live, work and conduct business, there is a lot of opportunity for unscrupulous people to take advantage of buyers, especially foreign buyers who don’t understand the language, the laws or their rights. Unfortunately, we’ve heard more than a few stories about foreigners getting ripped off with leases that weren’t registered in their names, or sales contracts that give the property back to the original seller. If a buyer chooses not to use a lawyer to complete the purchase of property, we advise the utmost caution when proceeding with a seller or developer. Should I use a lawyer when buying property in Thailand? Our answer is overwhelmingly yes. Obviously, the decision to hire a lawyer is the buyer’s personal choice (and must be paid for by the buyer). Our opinion is that it is always a judicious practice for a buyer to hire a lawyer who will represent his/her best interest. It is possible for the buyer to prepare a lease agreement and a sale contract on his or her own or in conjunction with a seller/developer. We would only suggest doing so if the buyer trusted the seller/developer and was confident in his/her own ability to read and understand the contracts. A law office will not only prepare the sale and lease contracts, but will also perform the land title checks at the land office to confirm that the deeds are true, correct and free from any liens or disputes. The lawyer will also provide a clear explanation of all documents in English. The lawyer first goes to the land office and verifies that the deed is registered properly, and then will go to the actual land plot and check the title deed against the physical markers on the land (if the land is Chanote title deed–see more information on Chanote title deeds below). She/he measures the area of the land to confirm that it is the same size as written on the land title deed. These markers on the land are called Chanote pilings (made from concrete) and are stamped with the unique numbers printed on the title deed for cross comparison. What is a Chanote and how is it different/better than the other land titles? There are various “levels” of land titles in Thailand. The highest level and the most secure title deed is called a Chanote. We recommend purchasing only real estate that resides on Chanote land. A Chanote title deed provides the land owner with absolute rights to the land, and Chanote land is the only land that has been accurately measured by satellite to designate the boundaries. Here in Hua Hin, and in many areas throughout Thailand, it is becoming a popular practice to sell land that is designated as Nor Sor Sam Gor, essentially one step below Chanote. Many people claim that there is no difference between Chanote and Nor Sor Sam Gor, but there is in fact a crucial difference. Nor Sor Sam Gor land can be bought and sold and built on by private individuals; however, it is still technically government land. The Nor Sor Sam Gor title provides the right to occupy the land, to build upon the land and to sell the land. However, there is no accurate surveyed boundary of this land, and there are frequent disputes over boundaries. If there was ever a dispute with the Thai government and/or the army over this land, there is a good possibility they could repossess the land and all real estate residing on the land. Granted, this behavior would utterly damage public relations with foreign countries whose citizens purchase property in Thailand and Thailand’s reputation as a relatively safe place for foreigners to invest, but it’s prudent to avoid as much risk as possible when purchasing property in someone else’s country. Here is a link that provides great information on the various land designations within in Thailand.. Here is a link that provides good information on real estate transfer fees and sales taxes. We’ll be back again soon with more invaluable information to satisfy your insatiable appetite for all things Thai. Again, please send us a message or post a comment if you have any specific questions you’d like us to answer. Thank you! I was born in Bangkok Thailand, but grew up in the USA, Middle East and for a brief time, Southern and Central France. I moved to Hua Hin with my wife and daughter in 2010 and opened our Agency in 2012. 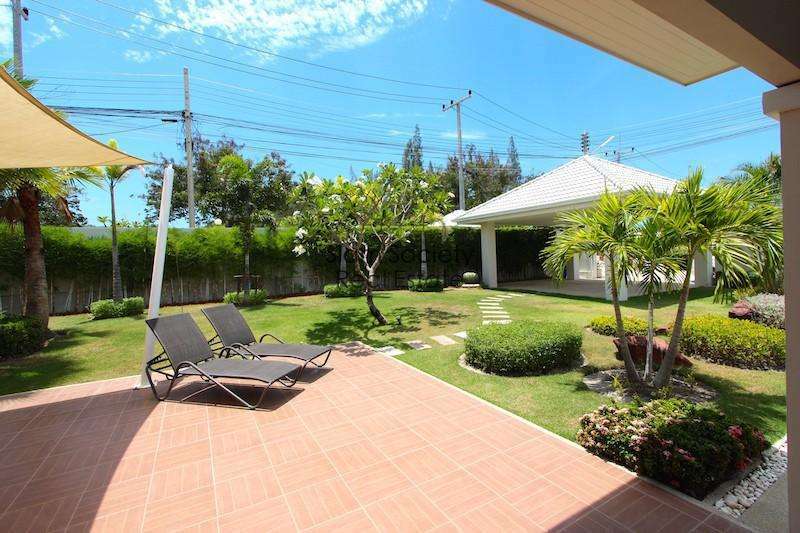 Since then, we have successfully sold hundreds of properties all over Hua Hin and it's surrounding neighborhoods. 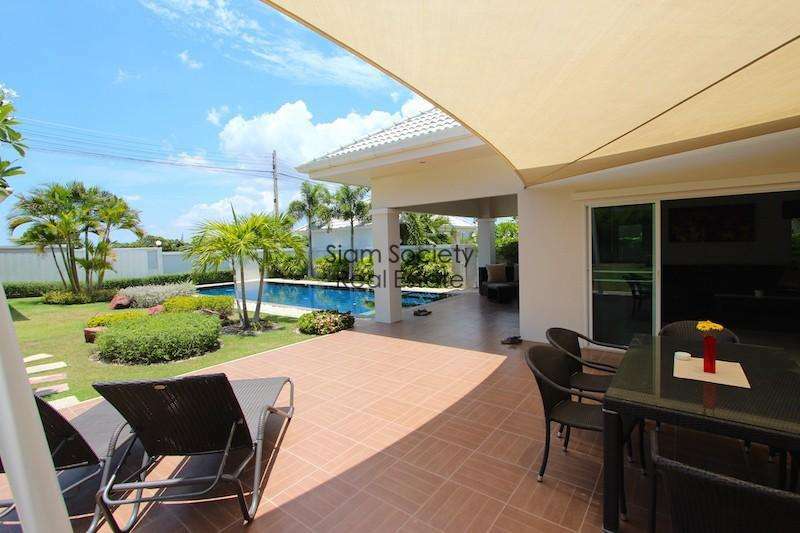 How much should I expect to pay in property taxes when I buy or sell a property in Thailand? And who is responsible for paying.